Business is all about communication. In the communication realm, telephone communication has its own importance than the others. It is an important form of communication in the business as well. Why is it so important in business? Since it is the channel through which most of the communications are happening. If you are a novice in the business industry or you are a matured player for long, whatever is the case it would be, getting your phone system in the right track is a step towards success. Employee communication can be much improved with a true system and it serves as a direct route to network with your business as well. Though businesses have varied needs in phone systems, a digital system can genuinely be a productive and cost effective answer. With the inception of digital switching systems, most of the telecom majors have come with the proprietary phones. These phones works in tune with the proprietary encoding that allows them to interact only with the exclusively developed telephone systems/private branch exchanges (PBX). The series of Avaya phones make sure that the each and every employee has got the exact functionality they required. Vector digital solutions is well renowned for designing and implementing the Avaya Phone Systems in Dubai. It enables your entire team to connect and interact without limitation using the appropriate phone devices. Avaya phone Dubai presents a series of digital phones that outlines how your business communicates with the world. 9600 series IP Deskphones: It offers refined communications with quality HD voice communications. 1600 series IP Deskphones: These types of Avaya phones deliver the most commonly used features with an affordable price. It’s viable for main offices, branches and for call center use. 1400 series IP Deskphones: This series of phones are very suitable for broader range of business purposes. It features an enhanced audio features and other productivity features. Works with Avaya Aura and IP office package. 1200 series IP Deskphones: it features integrated speakerphones and finest audio technology for the crystal clear communication. Multitude of business needs are possible and are easy to customize for the users. 1100 series IP Deskphones: it is suitable in every area of your business. it is packed with message waiting, incoming calls and indicators for data messaging. 9400 series Digital Deskphones: Enhances your employees more productive with the full set of communications features. It has beautifully designed interface and quality sound deliverance. 9500 series Digital Deskphones: it covers the most advanced features with customizable options with high output. The quality of sound is exceptional. As the enterprise world becomes more complicated with the induction of proper technologies, we find our customers looking new ways to streamline their services they use. Some have a preference for the restructuring and some for the new deployment. 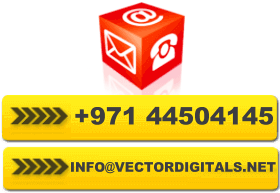 Vector Digitals provides the clients cutting edge solutions in the field of automation, telecommunications, IT and security across Dubai. Whatsoever the decision you are to deal with, we are here for you. We present you with all the feasible phone solutions that stick well for your Business requirements: be it telephone systems, security, automation and VOIP. The other phone system we provide includes the Panasonic phones, NEC phones and Cisco Phones. Our method is simple, hence our solutions are apparent and clear cut. We dwell to your business environment, understand your needs, and propose a solution: Decide it on the best and we deliver with 100% satisfaction.